The other day I was working on the menu for my restaurant. Well, not my real restaurant, the one I have in my head. I’d be crazy to open a restaurant, well maybe not. Who knows what tomorrow holds.? While I was working on my fake menu, I suddenly became hungry for pie. 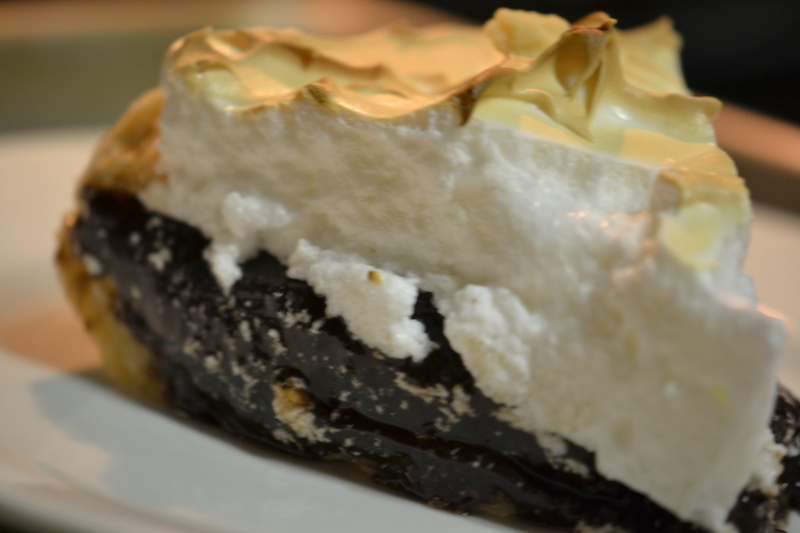 Not just any pie, but chocolate meringue pie. I love chocolate meringue pie. I love it like biscuits love gravy, like the ocean loves the waves, like…sorry-I was having a moment. Annnnyyyyyywwwaaaaaayyyyy, I ran to my favorite worn-out, rubber-banded cookbook for Lona Simolke’s chocolate pie recipe. I ended up finding several versions that I had tweaked/created using her famous pie recipe. So I set out to make a version that I had tweaked. I should’ve known better than to mess with a 95 year old recipe from the Pie Matriarch. Luckily, after the first kitchen wreck, I came to my senses and pulled out Mama Loney’s classic recipe. This whole pie craze turned out to be not about me, but about Mikey and Jennifer Perillo and their 2 daughters. I don’t know them personally, but I heard about their story yesterday as I was making the pie crust. Yesterday was Make A Pie For Mikey day. Last Monday, Mikey, Jennifer’s husband and father of their two young girls, suddenly passed away from a heart attack. Mikey’s favorite pie was peanut butter pie. Jennifer loved to make Mikey his favorite pie and had it on her to-do list but just never got around to it. So in the middle of her grief, she found comfort in sharing about Mikey’s love of peanut butter pie on her blog and asked the world to make a pie in honor of Mikey and give it to someone they love and tell them you love them. Read about it here and watch this amazing video made for Jennifer by some amazing online food photographers, white on rice. For we don’t know what tomorrow gives or takes. It was also about Dakota Carr. Dakota was one of my former 7th grade students. During the middle of his 7th grade year, Dakota died from cancer. I’ll never forget his sweet, gentle soul. He sat in the 2nd chair on the third row in my classroom. To help us grieve our loss, a few of the teachers held a “Bake a Pie for Dakota Day”. Such sweet & sour memories. So sorry I don’t have a photo of him.Life is such a fragile thing.Even though it’s not a peanut butter pie, it’s a pie for Mikey, for Dakota, for people who are grieving, for people I love.Won’t you make one for someone you love and tell them you love them? For we don’t know what tomorrow gives or takes. 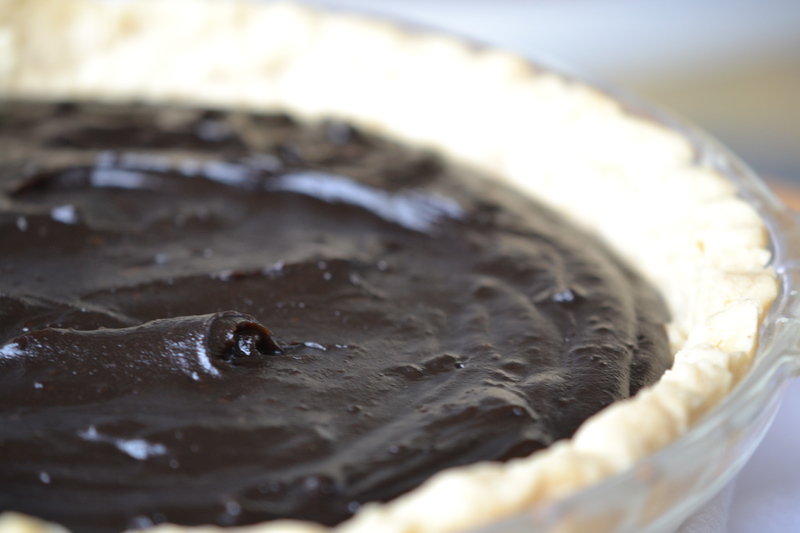 Please feel free to email me if you want this pie recipe, you won’t regret it! This entry was posted on Saturday, August 13, 2011 at 9:47 pm and is filled under Cook Learn Grow. Yes, please. I am not sure if I gave ever made a pie besides pecan. Great post.